We took a drive over to Hungerford at the weekend and popped into the Antiques & Collectibles Arcade for a browse around. It’s a really interesting old beamed building, with over 100 traders worth of walk-in units and cabinets all housed in one place. So much fascinating treasure to look through, books, furniture, jewellery, crockery, ornaments, watches. 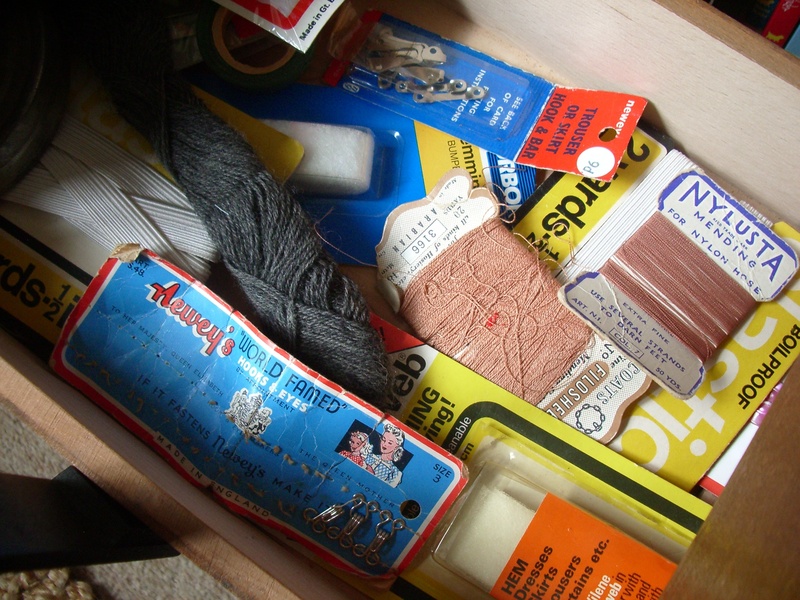 As you get older there are more and more items you recognise from childhood and of course wish you’d held onto them! 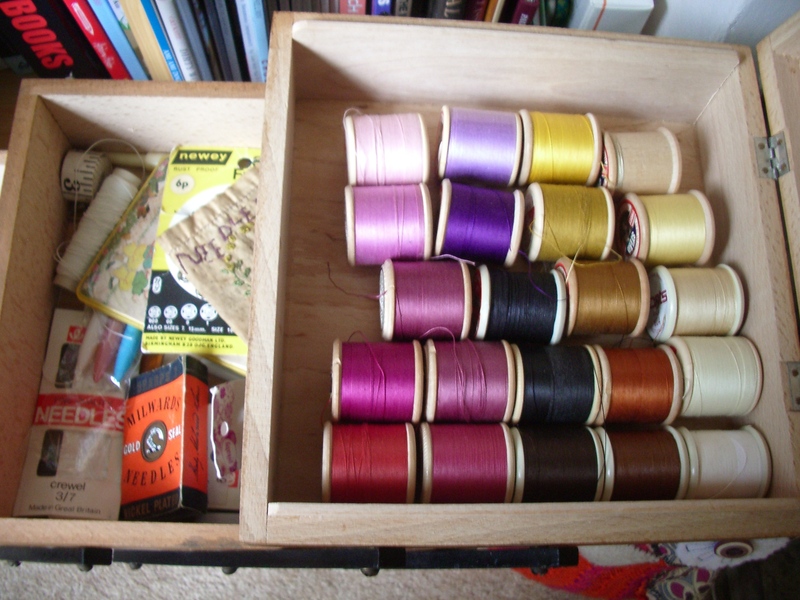 …and in the bottom tier a mixture of all kinds of old mending things. 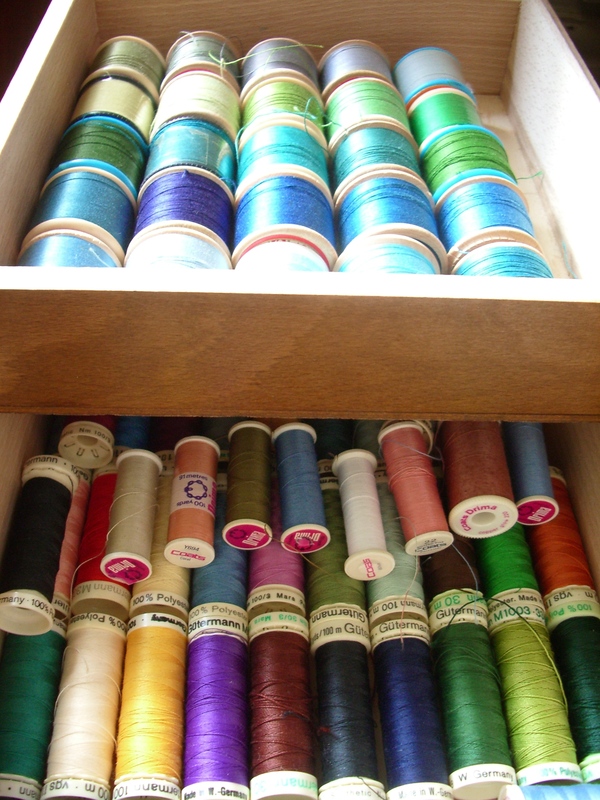 Hooks & Eyes, boil proof elastic, wundaweb, nylon threads for mending stockings, darning wool and plenty more. 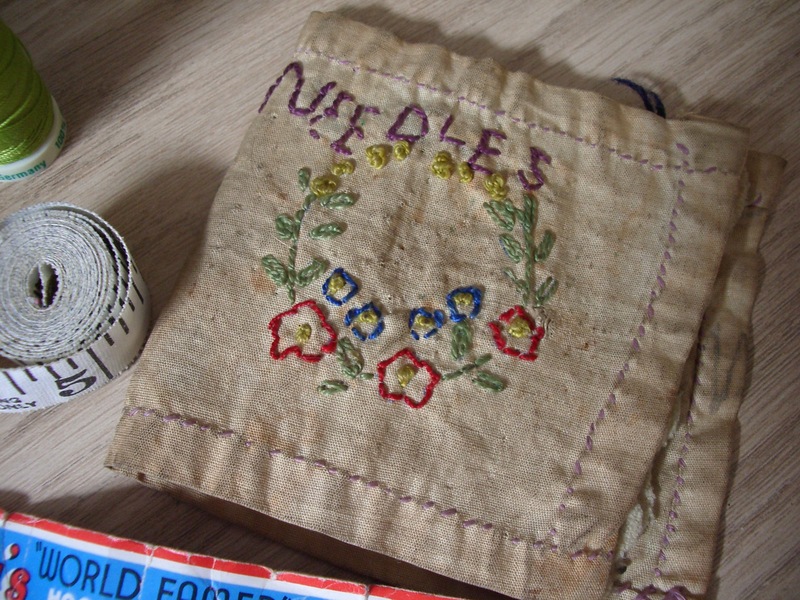 There was also this very dirty but rather sweet little hand embroidered needle case. 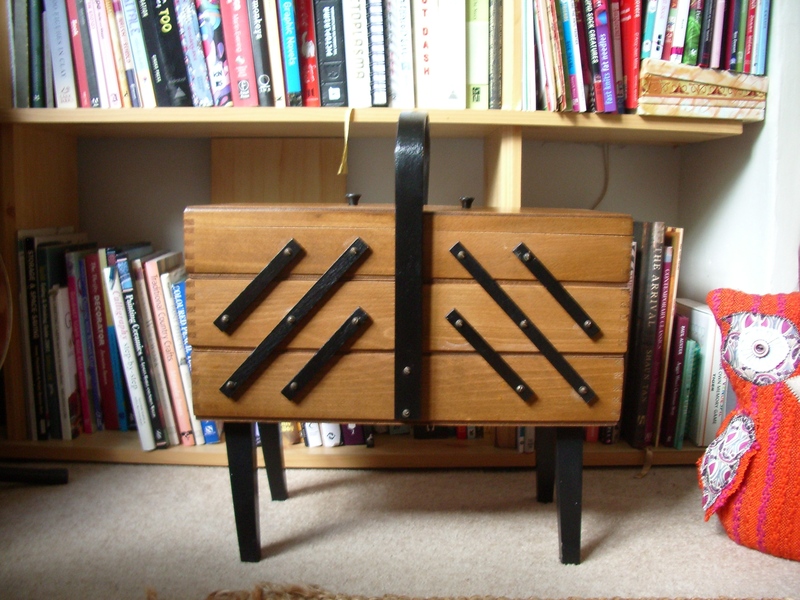 It looks as though it could have been made by a youngster and perhaps given as a gift. I think I’ll have to risk giving it a wash and hope it doesn’t disintegrate!